Elderly care or economy care? A BOTTLE of original Guinness sits on the bar next to the pub’s special half pint glass; only one customer gets to drink from it, and he’s sitting proudly at the bar wearing his good Sunday trousers. His trademark Celtic brooch is displayed on the lapel of the jacket he’s insisted on keeping for the last 10 years and his thinning hair is perfectly combed. 71-year-old Hugh Haggerty is an old school dying breed; a man who knows what decent and proper is. It’s that and the death of Nancy, his wife, that is making him speak out about changes in the elderly care system in Scotland. Life for Hugh is not how he imagined it would be at this time in his life. His plan was to be spending his retirement with Nancy, who died of cancer just three weeks after being diagnosed, on Valentines Day, two years ago. His plan never worked out the way it should have, and the tears in his eyes tell his story. 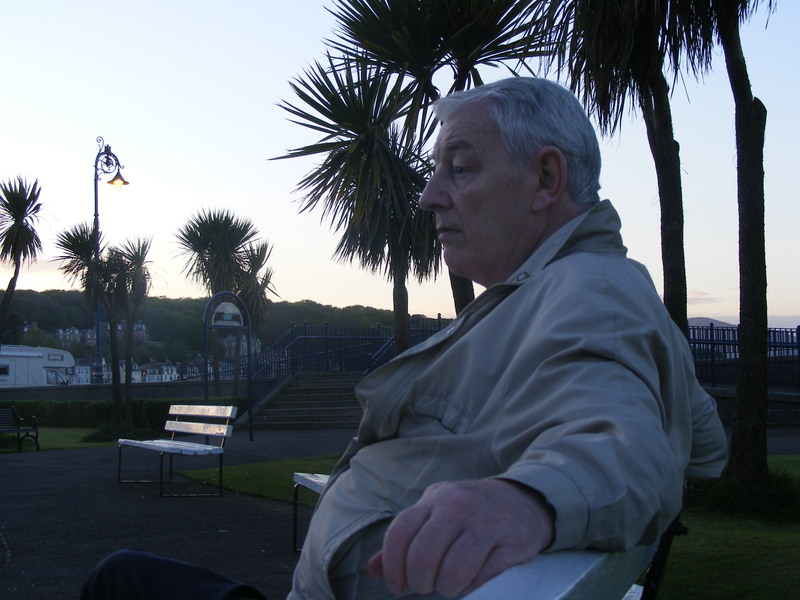 The coming changes to care delivery on the Isle of Bute still only exist on paper, but for anyone who ever finds themselves in the position Hugh did, those papers will have real consequences. Hugh is one of a steadily increasing number of elderly residents on Bute. The locals say that the island appeals to two main markets: the low crime rates and tight knit community spirit make it a sought after place for parents to raise children, and the laid back lifestyle and idyllic Argyll scenery make it an ideal place to retire after a hard working life. The fact that any age in between tends to flee the nest to make a fortune where the bright lights are makes it all the more attractive. It is an inevitability for elderly citizens settled on Bute, or in the surrounding areas of Argyll, that they are growing older, and a decent standard of healthcare with a fairly reasonable assumption that they will be taken care of in their later days has been too easy to take for granted on the island. A long-running disgruntlement between the local authority, Argyll & Bute Council, and NHS Highland over who should shoulder the responsibility of care has paved the way for a complete overhaul of the system. There are big changes ahead for the delivery of care across Argyll & Bute, with the region’s Elderly Care Review taking 18 months longer to complete than originally anticipated. 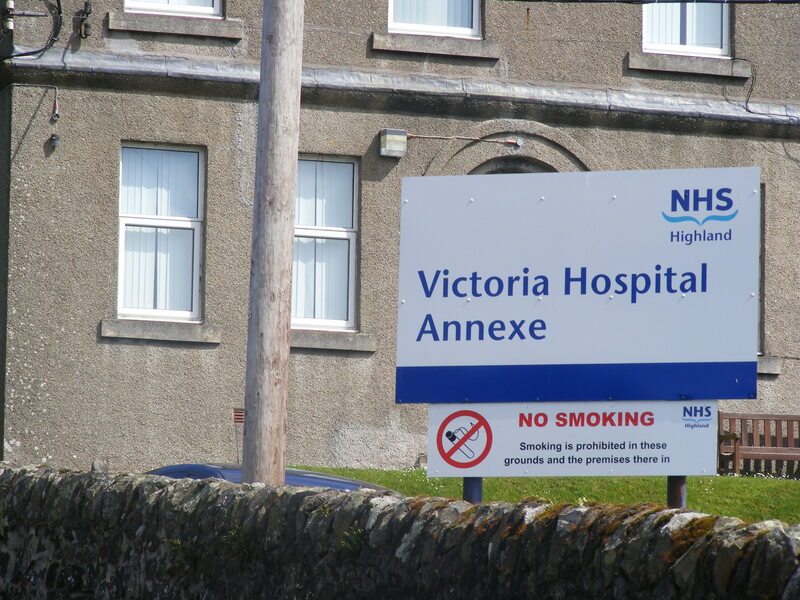 Rothesay Victoria Annexe, for example, has for years cared for patients with a variety of long term care needs, ranging from stroke patients to dementia patients and many things in between. It has also played a big role in caring for the elderly, caring for those who cannot be described as ill, but who need round the clock care and attention. The announcement last year that the 16-bed annexe was to close as an in-patient facility sent waves of concern around the community, but it didn’t quite come as a surprise. Change has been on the cards for a long while now. Questions have lingered over who should be expected to foot the bill for the cost of caring for that bracket of elderly patient – the patient that is ageing and deteriorating and requires constant care, but one that is neither ill nor ‘treatable’ by NHS standards. To put it bluntly, these patients will not get better, and continuing care is not in the NHS remit. This has led to a stand-off with Argyll & Bute Council, which – after a 4.94% cut in its budget for this year, almost double the national average – is even less eager in the current financial climate to take on massive costs. “What we know at best is that there is less money coming in from the Scottish Government, and there is increasing demand for services. The demographics show there is going to be a sharp increase in the number of elderly people who are requiring care.” Cath McCloone of Argyll & Bute Council’s adult care team explained. “At best our budgets are going to stand still and we know over the next three or four years it is going to be tough. There’s no doubt council services are more expensive. Island councillor Len Scoullar has spent much of his career fighting for services for the elderly on the island, but admits that cost must be taken into account. The changes in elderly care delivery across Argyll &Bute will see a shift towards supported independent living, and a move away from in-patient based care. “Supported independent living is a government desire to give people in need of care independence at home, not in institutions or care homes, if possible. The Council supports this view.” Councillor Scoullar said. Change has begun across Argyll & Bute. Continuing care beds from the NHS and state-run care homes are being gradually phased out in favour of independent living. A new policy of extra care housing has been announced, which will see a number of flats from sheltered housing complexes set aside for residents of the community most in need of care. 70 extra care housing flats have been confirmed across Argyll & Bute so far, with 30 of those on Bute. “People will start to become familiar with the terminology over the next few months as part of the new model of care. Something we will talk about is the single point of access. “There is going to be something called a golden number. One telephone number that will be given over the Argyll & Bute Council area. If you ring that number, you will be asked a list of questions, and you will be directed to the appropriate medical provider. “The last time I attended Bute Community Council, the issue of the annexe closing was quite an emotive issue at the time and a lot of concern was expressed – would there be enough beds in the Victoria hospital, would there be enough time to put the changes in place. “We always said we would make sure we had extra resources out in the community, particularly the community nursing team. We are on course for the increased demand we are expecting in the community. We are also going to try a community nurse being on overnight, based at the casualty department, who will be available for community nursing type calls overnight, and this is to try and stop patients needlessly coming to hospital for something that is very minor. Although care packages could be delivered by community nursing services, they will ordinarily be delivered by a home care provider. With a number of private home-care companies on the island and a need for the council to make savings, will this represent not only a shift away from state-run in-patient facilities, but a shift towards much more involvement from the private sector? “In terms of home care services on Bute, around 75 per cent is already out to the independent sector.” Cath McCloone explained. “If you look at care homes on the island, Thompson Court [state-run] is very very small, most care homes are much larger but staffing levels will be around about the same. It’s a much more expensive service. “The council purchased a nursing and residential bed at round about £540-560 a week in the independent sector, whereas the cost to run that same bed in the Thompson home is around £1,900 a week. These are figures we just can’t ignore. Monitoring the movement of patients over the last six to eight months does not come as much comfort to Hugh Haggerty, however. “About a year before Nancy died, she had a massive stroke. She spent six months in the annexe being rehabilitated while I found a new house for us in sheltered housing. They wouldn’t let her out otherwise, we needed adequate housing first. Argyll & Bute Council’s Elderly Care Review showed that residents across Argyll & Bute want the delivery of care to allow them to stay in their own homes for as long as possible, and the council claims it is striving to meet the needs of elderly people. It is likely, however, that the council may have a struggle on its hands to convince residents that it can achieve that while maintaining the needs of patients who cannot stay at home. “The idea that she could have spent those six months away from home is really just unthinkable,” Hugh continued: “and I can’t bear the thought that she could have had to spend her last days in a mainland hospital away from her home because Bute didn’t have the beds. She couldn’t be cared for at home, she would have needed more than one nurse full time, we were told that. Home care won’t be practical for everybody.